Guest cake decorator Shannon Patrick Mayes returns to show off this amazing sewing machine cake tutorial. 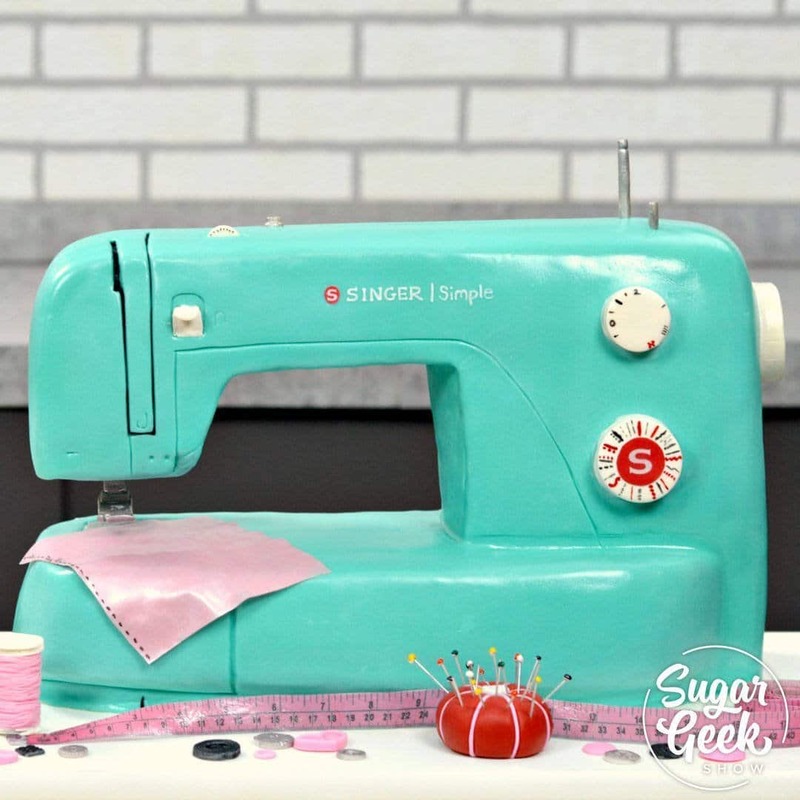 Shannon takes the popular sewing machine cake design a step further by making a vintage Singer sewing machine with a gravity-defying sewing needle, edible EVERYTHING, tons of details and details. This cake is sure to please the sewing enthusiast in your social circle and the edible fabric can be adjusted and customized to many different designs and projects.